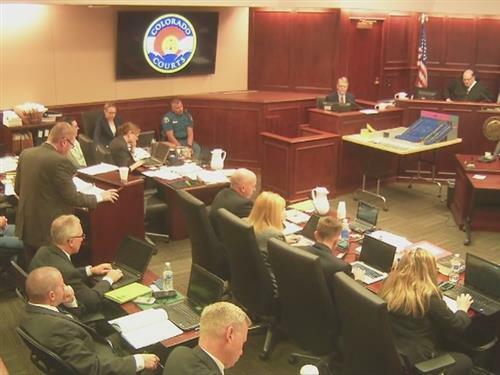 7NEWSA doctor testifying for the theater shooting defense says the gunman was severely mentally ill.
7NEWSGunman James Holmes hung photos of women on his cell wall, surrounding a paper with his notorious symbol on it. Good Morning Phil & Everyone! I completely agree Phil! He wanted notoriety and he felt validated by hanging these pics up. I loved watching AC shred that Dr.
Good Morning Phil and Tammy. Good morning Phil and Kellie! I set my alarm for this trial lol I am on Pacific time. Guess I really am hooked! 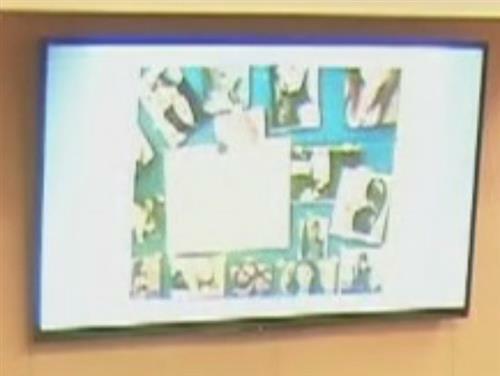 @ Phil - It's unbelievable that women would like JH and send him pics. How sad!!! Seems maybe I should send in to Jimmy my photo to Jimmy to add to his lovely little cell collection :D Classic Jimmy. Listening but I have taken off to prepare to do a wedding tomorrow. I kinda feel bad for Woodcock, but I truly believe this situation seems fishy. @Suzanne- I also feel bad for Woodcock, especially with that testimony yesterday. It might be harsh again today. wow. off to a bad start today.. turning comments off. GB did a fantastic job yesterday. I bet Woodcock is not looking forward to being on the stand again today. I find those girls that sent him pics, are quite sick minded! Wanting fame thru someones own evil act. IMO Disturbing to me! Wow, Phil...that's not very long. I can't help feel for Dr Woody too, though I think Brauchler is incredible and love his approach in court. Judge says 2 hours for closings per side and adds "I'm doing you a favor"
LoL Judge Samour is awesome! !